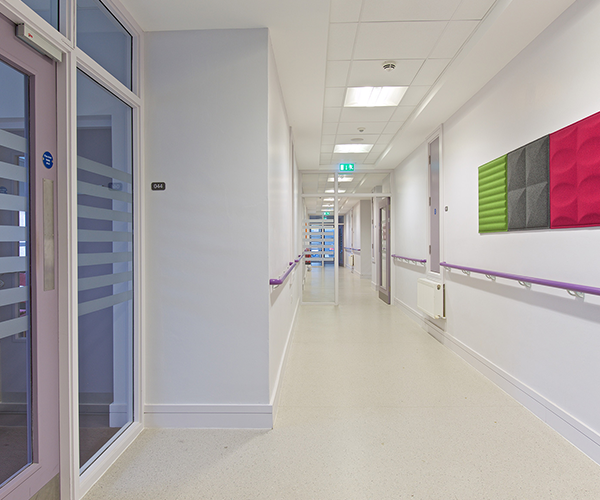 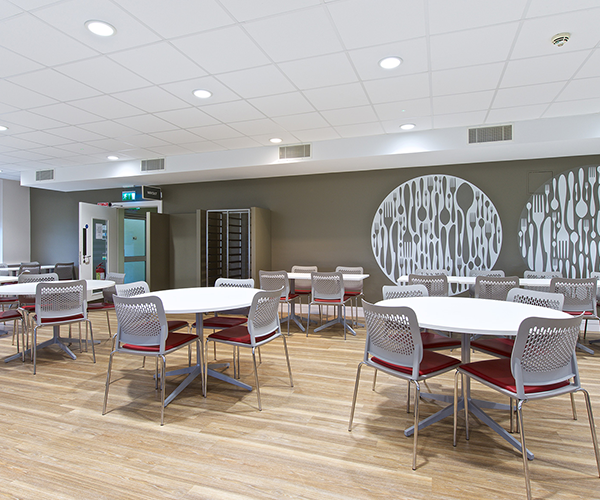 Description: An extensive refurbishment was carried out the main floor, first floor and roof of this vital building in the Cherry Orchard Hospital campus. 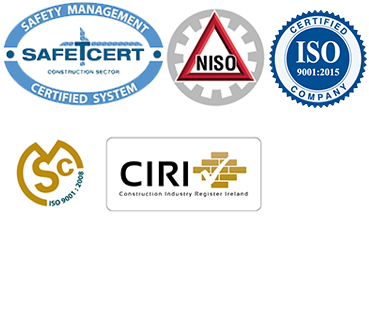 Fire proofing, Mechanical, Electrical, and IT were all upgraded to the highest standard. 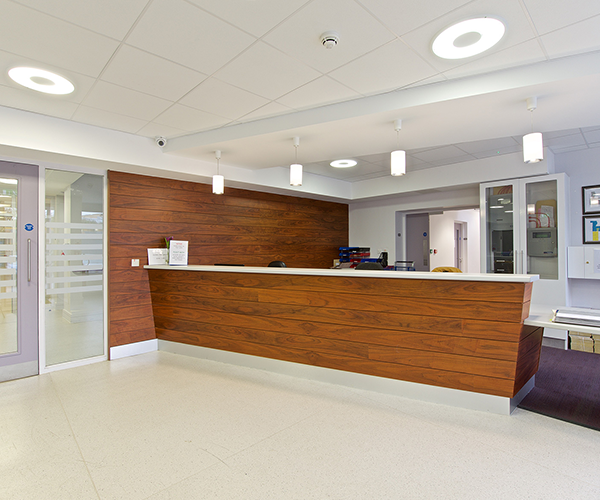 Main Reception, Waiting Areas, and Meeting Rooms were completely re-done with fitted furnishings and new decoration throughout. 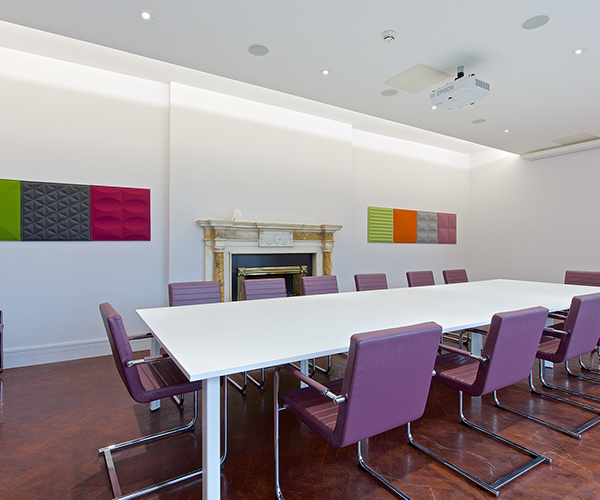 New Ceilings, Wall and Floor Finishes, Fitted Furniture and Decoration were completed throughout the building. 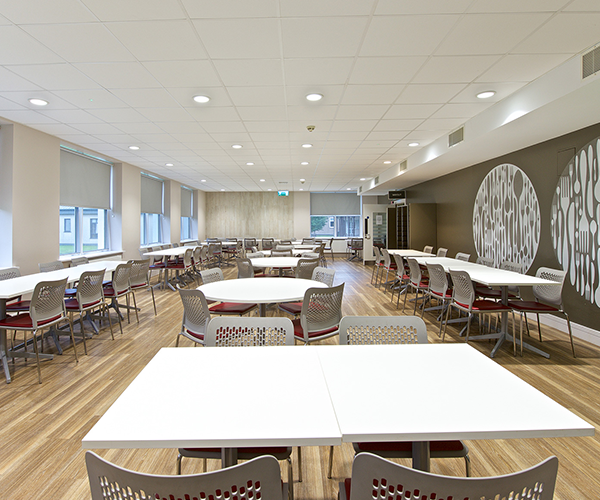 Office Fit-Out to first floor included replacement windows, new offices, canteen and bathrooms. 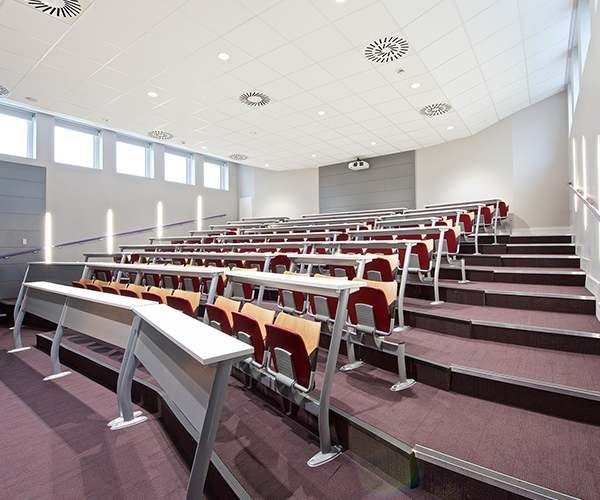 The new lecture theatre had several tiers and included an extensive AV installation, podium and public address system. 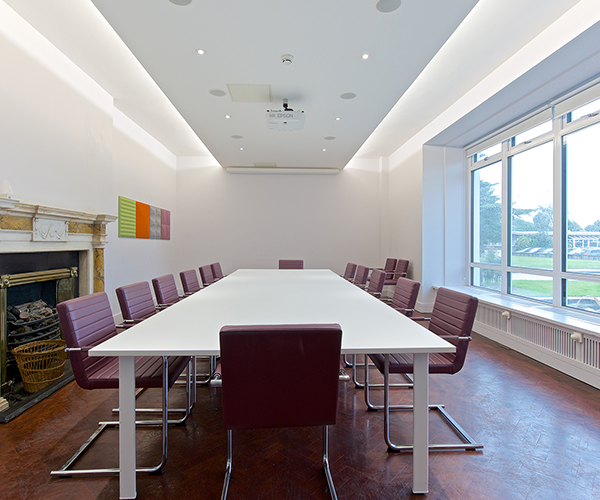 The flat roof was completely replaced.